Don’t you just love the development companies that just keep on giving? Even though the festive season has been and gone, file hosting service Dropbox are still in the generous giving spirit and are dishing out a new beta build for Android devices. Obviously looking to catch the eye they have gone with the name of ‘Experimental Android Forum Build 2.0.9’ which just rolls right off the tongue. Automatic uploads of photos and videos in the background using a wireless connection or cellular data. 500MB of free space credited to users account directly after first automatic upload of a photograph. The ability to upload large file size, up to a maximum of 180MB. The inclusion of support for resuming uploads incase of network interruption. The obligatory various bug fixes and enhancements. One thing that might immediately catch the eye is the free 500MB of storage space that is being offered by Dropbox. During the beta period, users are being offered additional storage space, with every 500MB of uploaded images and videos being rewarded with an additional 500MB of storage which keeps going until you have reached 5GB. The free space is being given out as an incentive for users to thoroughly test the new feature which lets photographs and videos be uploaded automatically from the camera which negates the need for any upload managers or additional tools. The forum announcement does state that the beta of 2.0.9 allows the uploading of files of ‘any size’, which is a little bit deceiving considering it then goes on to state that uploads are limited to a maximum file size of 180MB. Regardless of the limitation, the available limit should be more than enough to get all of your treasured pictures into the cloud. 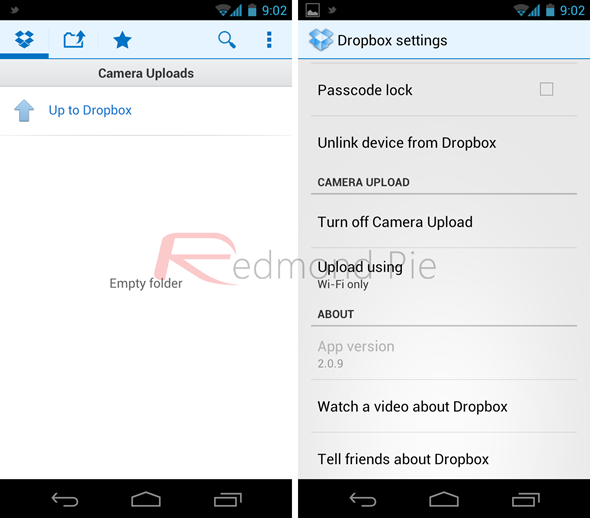 The Dropbox Experimental Android Forum Build 2.0.9, to give it its full name, is not in the Android Marketplace yet. The available options and download links are below, so make sure you go and earn that additional, free storage space. 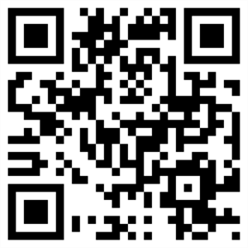 Download the APK file directly from Dropbox.